The American Red Cross of New Hampshire is helping more than a dozen people after a fire broke out Sunday in Nashua. Fire officials say the fire started just after 3:30 p.m. at a multi-family home on Cedar Street. One occupant suffered burns to his face, but officials say he refused treatment, telling crews he would go to the hospital on his own. 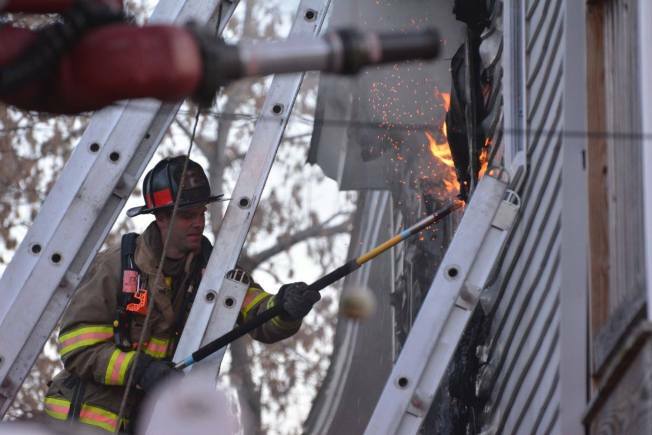 Additionally, a firefighter suffered a back injury, but the severity was not immediately known. The fire was knocked down quickly. The first floor was badly damaged, and the flames extended onto the second floor, but not the third. The Red Cross said it was assisting 13 people. Officials estimate about $30,000 in damage. The cause remains under investigation.